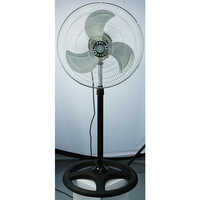 Hot selling home appliances, 3 in 1 Industrial fan, Stand Fan . More popular models for your select. All cartons we are using is exporting stardand carton , 5 layer . strong enough to protect the items . Gift box , white box , or brown box are all available as per customer choice , We can use customer 's design gift box or our own design for information . Customer's logo can be put on packaging. The factory have 12 pcs injection machines , 5 motor production lines , 6 motor wire-warpping machines , the ability to load 8-10 containers per days . 14 assebling lines ,daily capacity is 10000-11000 pcs fans. If you are unable to loadingwe can handle it very carefully and send you the whloe loading process photoes ( from the begaining to the end ) and packing list within 1 day. The workshops:Injection , motor production , Assebling , Testing , Packing. we are here for you at any time . Nice day for you !